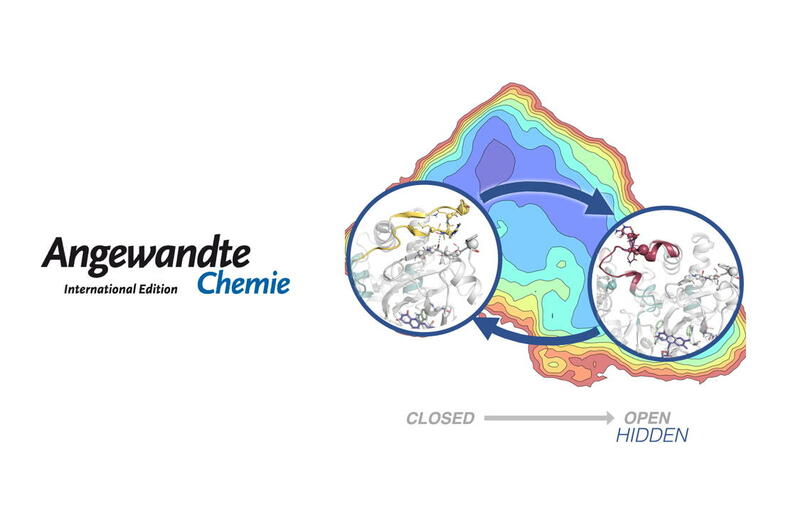 Today appeared in Angewandte Chemie a paper by Sílvia Osuna and co-workers where they used Markov state models to discover hidden conformations. Enzymes exist as an ensemble of conformational states, whose populations can be shifted by substrate binding, allosteric interactions, but also by introducing mutations to their sequence. Tuning the populations of the enzyme conformational states through mutation enables evolution towards novel activity. In this paper, we use Markov state models to unveil hidden conformational states of Monoamine Oxidase from Aspergillus niger (MAO-N). These hidden conformations, not previously observed by means of any other technique, play a crucial role in substrate binding and enzyme activity. Our work reveals how distal mutations regulate MAO-N activity by stabilizing these hidden catalytically important conformational states, but also by modulating the communication pathway between both MAO?N subunits. A nice way to start 2019!! !